This fab Kite jumping sheep appliqué looks right at home on this gorgeous grey marl and ecru yarn dyed striped romper. 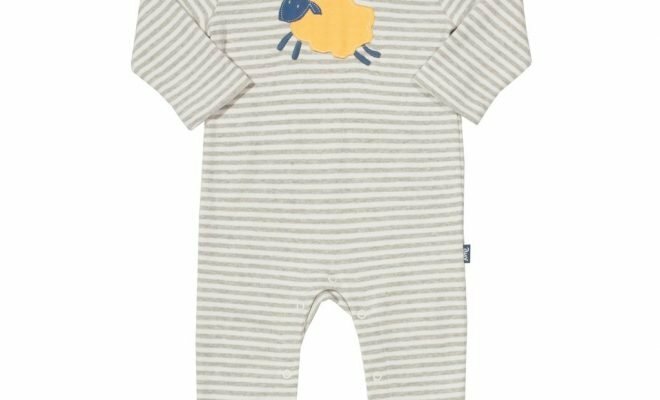 Made from our lovely soft sleepsuits for babies with contrast leg cuffs. With full crotch and shoulder popper opening.